It’s important to us to provide quality products and expert services that will result in the best outcomes for your gravel driveway in Collingwood. Your driveway is often the first thing you see when you pull up to your home or business, and it can also be the first impression a guest has as they arrive. At Flesherton Concrete Products, we are often called on because a customer wants to install a gravel driveway, but they don’t want to cut corners on the quality of the stone they use or the way their overall landscape will be affected. Fortunately, we can help by providing the quality products needed to create and maintain a gravel driveway for the best results. There are several important steps when installing a gravel driveway, including having the proper materials from the sub-base to the top layers. 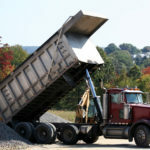 At Flesherton Concrete Products, we not only source all of the necessary aggregates, but we can also schedule delivery to your home or business for convenient installation. It’s important to us to provide quality products and expert services that will result in the best outcomes for your gravel driveway. When creating a gravel driveway, not only can you find the initial materials that you need with us, but we can also supply the maintenance materials that keep your driveway looking its best. We can also assist you if you decide to upgrade from a gravel driveway to paved concrete in the future. Contact us at Flesherton Concrete Products today if you have questions about our products and services, or if you are a contractor who is planning the installation of a gravel driveway for one of your customers in Collingwood. We look forward to hearing from you. At Flesherton Concrete Products, we can help you build a gravel driveway in Collingwood, Wasaga Beach, Flesherton, Orangeville, Owen Sound, Barrie, Stayner, Mulmur, Shelburne, or Mount Forest, Ontario.